James Bond has never been short of an evil adversary or two, and it seems his enemies have left the silver screen to strike the world’s most famous spy in the real world. Criminals have stolen nine vehicles that were due to appear in the latest 007 movie Spectre. Thieves targeted a garage in northern Germany where they made away with five Range Rover Sports as well as four other undisclosed cars. It is unclear whether or not the stolen vehicles were already equipped with the usual array of high tech gadgets but hopefully the garage in question will have a high quality motor trade insurance policy so that they do not have to foot the estimated £630,000 cost of replacing the stolen goods. After all, MI6’s finest cannot save the world if he has to walk everywhere. German police have admitted they cannot find any trace of the missing vehicles amid claims the theft could delay location filming. 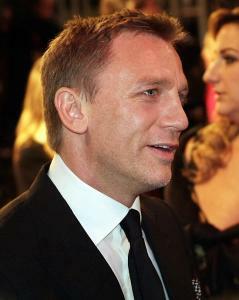 Spectre is due to be released on 6 November 2015. Daniel Craig will return once again as the suave secret agent, but what high-end cars will he end up driving?